Austin Mayor Steve Adler said he was reassured by U.S. Attorney General Jeff Sessions on Tuesday that neither his city nor Travis County are considered “sanctuary” jurisdictions. But Adler said he was very careful in how he asked for that determination since there doesn’t seem to be a legal definition of “sanctuary city” — commonly known as a local entity that doesn’t enforce immigration laws. The meeting was first reported by Austin's NPR affiliate, KUT. “I didn’t ask him that question because someone could claim we’re a sanctuary city a thousand different ways,” Adler said Tuesday. Instead, Adler said he was more specific and asked what made a city sanctionable under the Trump administration’s definition of non-compliance. The issue made national headlines earlier this year after Travis County Sheriff Sally Hernandez announced after taking office that she would only comply with detainers – requests from federal immigration officials to turn over inmates in local jails – on a very limited basis. 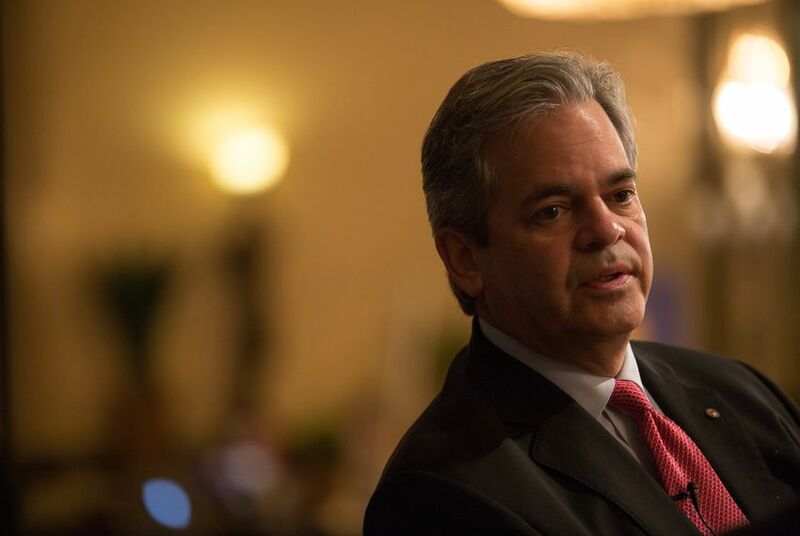 Adler said before his meeting with Sessions that he was confident Austin wouldn’t be blacklisted and denied federal grant monies because Austin officials communicate with their federal counterparts. He further noted that neither Austin nor Travis County were included on a list of cities the Trump administration contacted last week to request proof that they are complying with the federal requirement. In an initial statement following the meeting, Sessions appeared to confirm Adler's view that Austin is in compliance. “We are pleased that the mayors who met with us today assured us they want to be in compliance with the law. The vast majority of state and local jurisdictions are in compliance and want to work with federal law enforcement to keep their communities safe,” he said. But in a subsequent statement, Justice Department spokesman Ian Prior said that Sessions did not give Adler any guidance "as to whether Austin or any other jurisdiction is or is not in compliance with 8 U.S.C. Section 1373." When asked to comment on the DOJ's follow-up statement, Adler spokesman Jason Stanford said the mayor's assessment of what Sessions said is still accurate. "What he’s saying is that 8 U.S.C. 1373 is the law everyone has to follow to not be sanctioned as a sanctuary city, but that he did not then take the next step to say that Austin is specifically not a sanctuary city even though, by every standard the Mayor mentioned and the Attorney General commented on, we are not," he said. Adler’s meeting came a day before the Texas House is scheduled to debate its version of an anti-sanctuary city bill, Senate Bill 4. The bill makes sheriffs, constables and police chiefs subject to a Class A misdemeanor for failing to communicate with federal authorities or honor detainers. Adler said that according to his assessment, the state is pushing a bill that could exceed the limits of what federal authorities can do. That’s because it is commonly held that Immigration and Customs Enforcement detainer requests to local jails are voluntary. And he said that, according to an accompanying document sent last week to the jurisdictions that are allegedly out of compliance, the government agrees. “The ICE officials with whom we spoke stated that since the detainers are considered to be voluntary, they are not enforceable against jurisdictions which do not comply, and these ICE officials stated further that state and local jurisdictions throughout the United States vary significantly on how they handle such requests," the DHS memo notes. Adler said that was a key part of Tuesday's discussion with Sessions. Sessions also seemed to acknowledge as much in his statement and urged citizens to demand more of their elected officials than just communicating with federal authorities. In a statement, Gov. Greg Abbott spokesman John Wittman said he intends to keep pushing for the detainer-compliance requirement. More than 90 percent of Texans believe that local police should be allowed to ask about immigration status if a person is arrested for a crime, according to the results of a poll released this month. Disclosure: Steve Adler, a former Texas Tribune board chairman, has been a financial supporter of the Tribune. A complete list of Tribune donors and sponsors can be viewed here.